Bio Notes: William Forsyth McGibbon was born at Anderston on 30 March 1856, the son of William McGibbon, commercial traveller and wis wife, Margaret Walker. No particulars of his early education are at present available, but he was articled to H & D Barclay of Glasgow in December 1870, remaining with them as a draughtsman after completing his apprenticeship, and travelling in France, Belgium and Holland during his holidays in 1876 and 1877. He commenced independent practice in 1878 at the very early age of twenty-one or twenty-two, evidently with particularly good Methodist connections. His Wesleyan churches at Govan and Partick were carefully detailed but in no way exceptional, but his church at Pollokshields was tall and ambitious, rather Pearsonesque in style externally. McGibbon designed only one important public building, the Corn Exchange of 1896. It was by this work that he was chiefly noticed in his lifetime, a bold Italian design derived in style from Belcher's Institute of Chartered Accountants Building in London. It challenged comparison with the best work by Burnet and Campbell in the nineties. McGibbon was admitted FRIBA on 11 June 1906, his proposers being David Barclay, John James Burnet, John Keppie and C J MacLean. He died of heart failure and apoplexy on 17 March 1923 at his house, 'Allerly' (or 'Allerley'), 229 Nithsdale Road, Pollokshields; no notices of his death appear to be available. 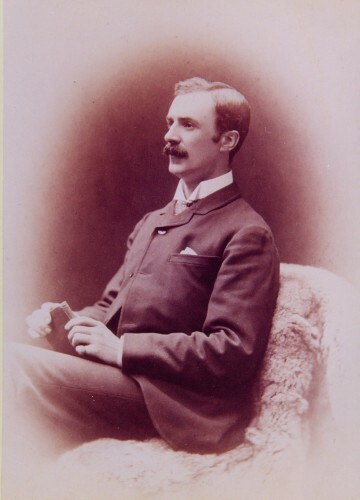 He was survived by his wife, Mary Halley Small (whom he had married at Bellahouston Parish Church on 6 December 1883), two daughers and three sons, one of whom, Charles George, was an architect and assisted in the practice. 1895 Corn Exchange Glasgow Scotland New building on same site.